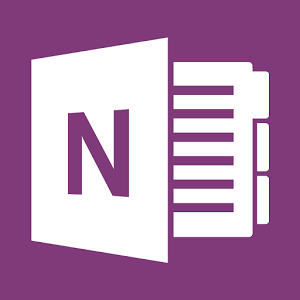 The latest updates to Microsoft's OneNote app have taken advantage of an ability granted to it by the openness of Android OS: the ability to place an overlay on top of other running apps. Similar to Facebook Messenger's chat heads UI, OneNote now has an opt-in feature called "floatie" that remains accessible while you use non-OneNote apps. 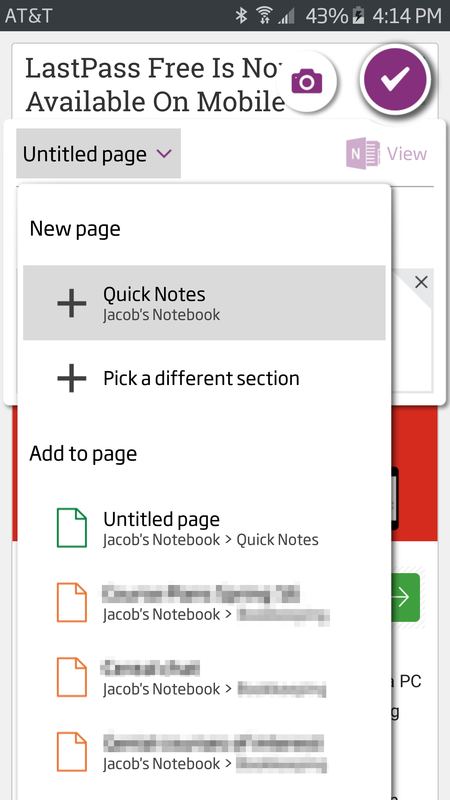 The idea is that inspiration for notes may come at any time and you may not want to leave the app you're in to do it. And in spite of the silly name, my first impression of floatie is that it serves its purpose well. To get a floatie up and running, you can open OneNote and tap "Start floatie" in the overflow menu. 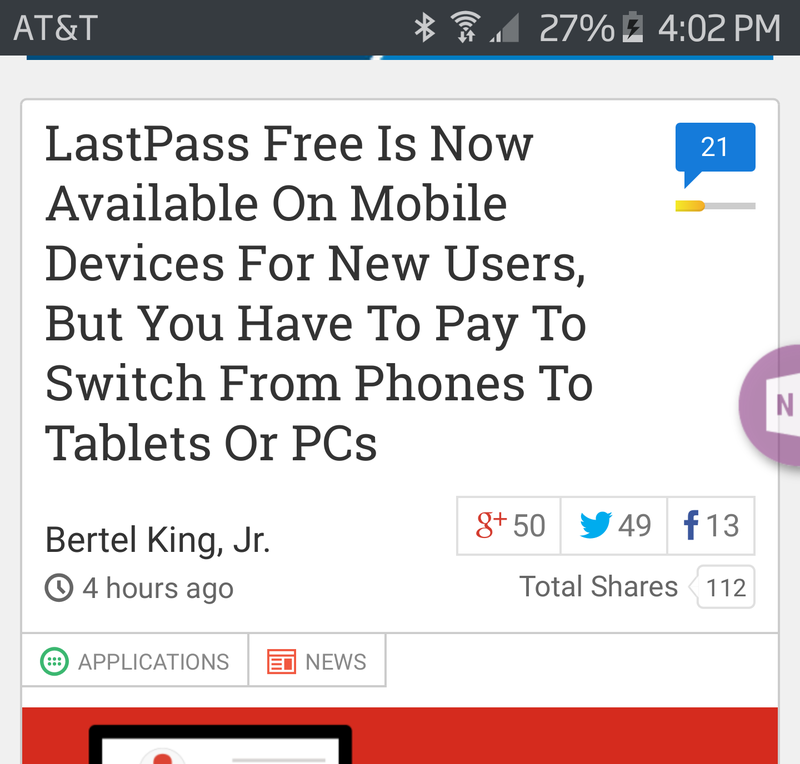 You may also get a notification, from which you can do the same thing. From there, you will meet your floatie. As far as UI elements like this go, this one is as out of your way as it can get. When not being touched, half of it sits off screen and the visible portion is semi-transparent. See? Not so bad. 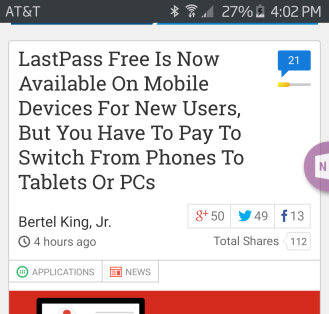 To get rid of it, just tap and drag it to the X that will appear near the bottom of your screen. To use it, tap without dragging. You will see a dialog like this for tapping out a note. Above and to the right you can see that it is possible to select any destination for the note, fixing one of my biggest pet peeves with saving things to OneNote (and Evernote and similar apps). 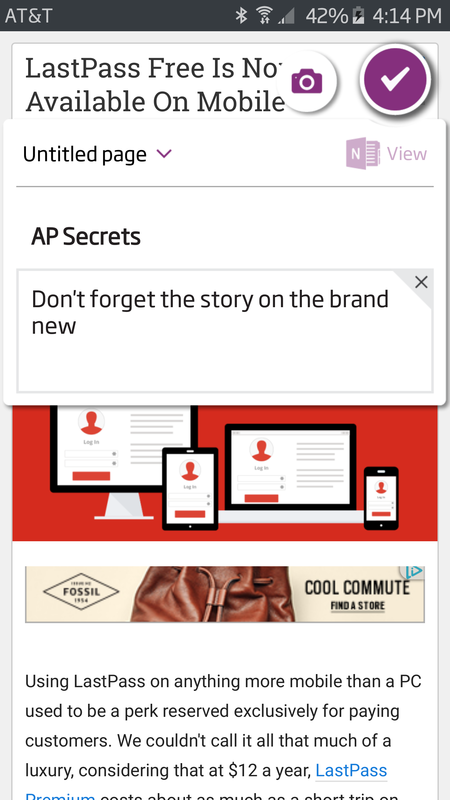 If not given an option on where to store the note, you have saved very little time by doing it outside of the app if you have to go back into it to organize properly. Notice also that there is a quick shortcut for taking photos with the phone's camera, which can be saved from the same UI afterwards. 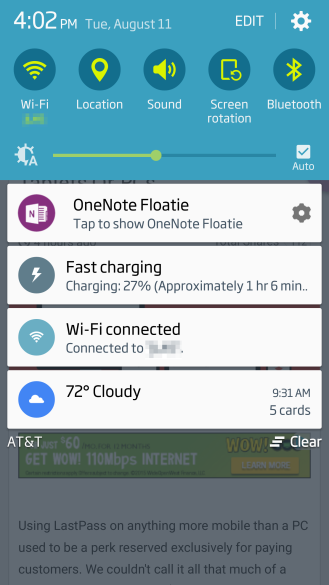 If you don't like the sticky notification, you can disable the entire feature from OneNote's settings. 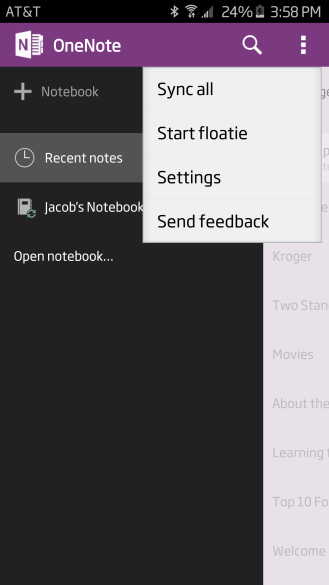 Floatie is available in the latest stable and beta release of OneNote, but if you don't like the Play Store, you can grab the latest version over at APK Mirror.